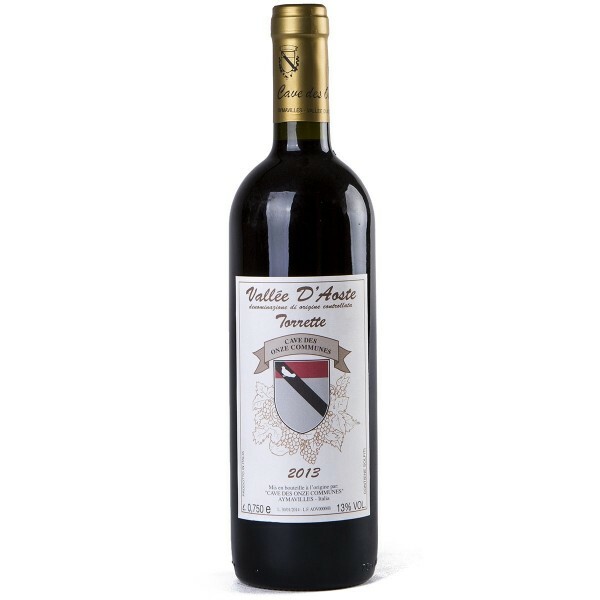 Description: From native Valle d’Aosta grapevines, Torrette wine is purplish red tending to crimson in color, its fragrance intense with hints of red fruit and hay and slightly spicy; it takes on typical notes of almond while aging in the bottle. The taste is soft and velvety, with good body and balance. Particularly indicated with typical Valle d'Aosta cold-cuts, white and red meats, cheeses such as Toma and Fontina, and with Raclette. Producer: Cave Des Onze Communes.